I will admit that I typically do not seek out breweries that are known for excellent versions of traditional styles, including traditional English ales. Primarily this has to do with my generally disappointing experiences with these styles in the United States. 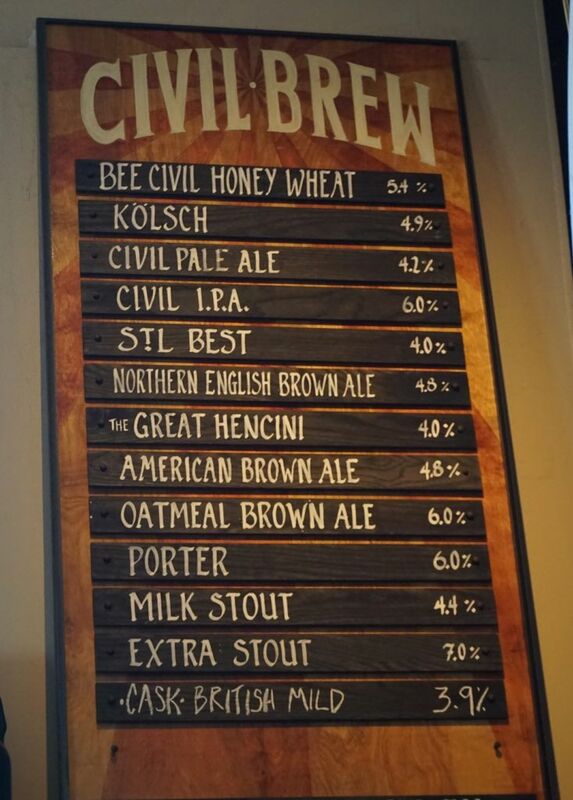 So I was pleasantly surprised when I visited the civil life brewery and walking inside felt like visiting an English pub. The beers were equally impressive as well. 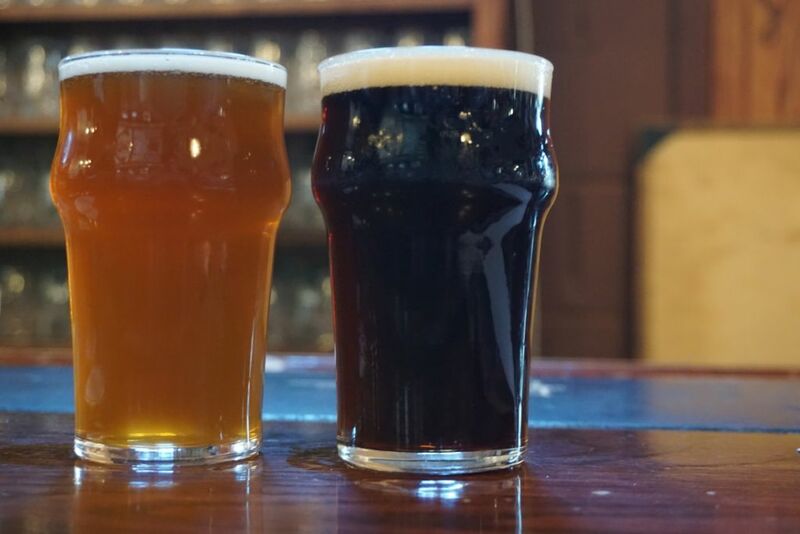 Sticking with the English pub theme, you are not able to order tasters but instead can choose between 10 and 20 ounce pours of beer. Thankfully, this was my first stop of the day so I was able to order four different beers in 10 ounce pours. Those beers were also fairly low alcohol, all under 5%. I started with their English mild on cask. It was creamy and smooth with low bitterness and mild biscuit character and light hops. The STL best, was more full in body and better at the finish with light floral hop character and mild caramel malt. After the first two, I decided to try two versions of English brown ales that they had on tap. The Great Hencini, a southern English brown style was nice and easy drinking with character of toffee and caramel. I preferred the hearty bite of this beer over the northern English brown. The northern English brown was lighter in color and overall thiinner with less dark malt roast. 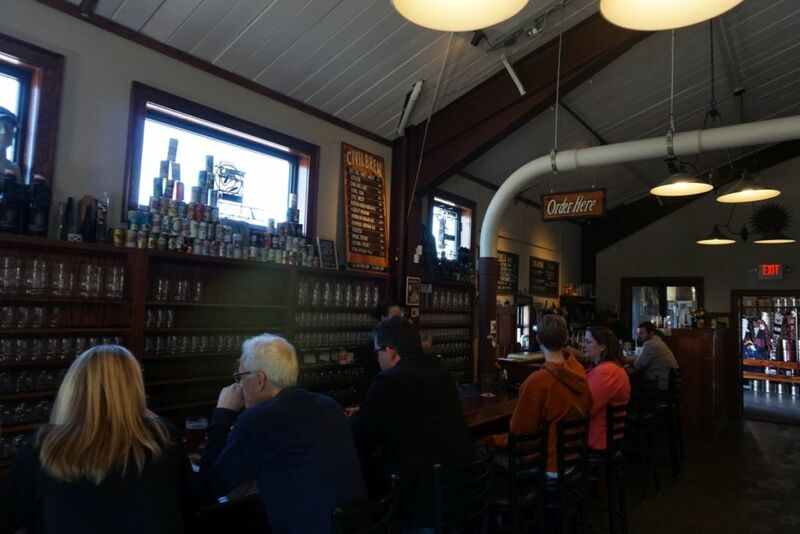 I enjoyed the beers I had at the brewery so much that I tried to more beers later that day while I was at narrow gauge brewery after my hazy flight. They had both the American Brown ale and the amber ale on tap. Both were excellent examples of the styles. The American Brown was so good that I had wished at that point I had purchased some cans before I left the brewery. The amber was good and roasty with low hops and light notes of cherries. The American Brown was roasty with light character of coffee and medium body. 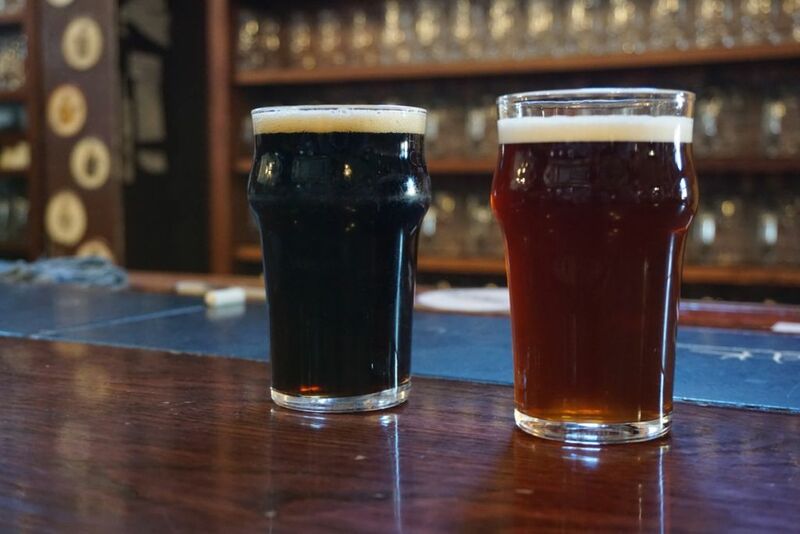 If you are at all interested in experiencing traditional English beers without having to go across the pond, I suggest stopping by the civil life to see how they are supposed to taste. I also read elsewhere that they make excellent versions of German beers, although they did not have very many choices in that variety when I stopped by. And if you live in the surrounding areas and can’t make it to the brewery directly, I suggest picking up some cans to enjoy. I recommend visiting the brewery directly both for the fantastic atmosphere and for the great food options. We stopped by on a Sunday when they highlighted various examples of soups and we both enjoyed their butternut squash soup quite a bit.